In this article, I am going to review a great Android appilcation called ArtFlow Studio which is a tool for artists to express their creativity with the amazing features that it has. Read on more to know about this ArtFlow Studio. 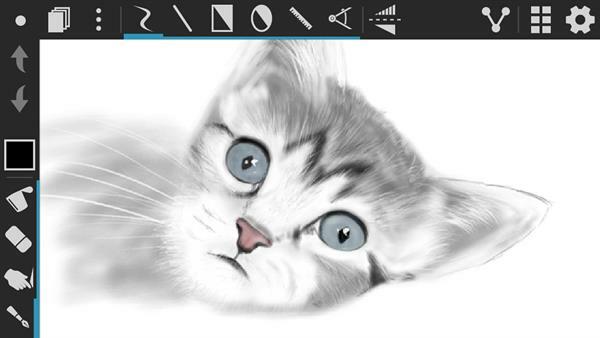 ArtFlow Studio is one of the best applications for Android which can be really useful for artists out there. It has got a plethora of interesting and useful features and tools that meets up every need of an artist. There is a free as well as a paid version of the application. The application has a rating of 4.2 on the Google PlayStore. It requires Android version 4.0 or higher to run. It has been developed by ArtFlow Studio. I have personally tried drawing many different types of drawings using ArtFlow Studio and the features and capabilities that it has made drawing a whole lot easier. So, without any delay let's take a look at the interface of the application. When you open the application what you see in the first place is a blank white area where you can instantly start drawing your imagination on your smartphone. The only thing you see on the screen is a tiny circle in the top-right corner of the screen. When you touch on the circle you open for yourselves a whole array of features and tools for making your drawing realistic. On the top pane, you have 7 buttons in all. We will take a detailed look at each of the buttons. When you select the brush button all the options for customizing the brush are available on the screen. You can do many customizations like changing the size of the brush, the opacity, flow, softness and spacing. There are also options like Size dynamics and Flow dynamics which you can turn on and off. They make your drawing feel and look like a real brush drawing. There are also options to select crayons, pencil and many other types of brushes on the left pane of the screen. When you select each of these brushes you get customization options specific to the brush that you have currently selected. For example, if you select the Pencil you get the options to select pencils ranging from H2, H, HB, B, B2, B4 and more and also an option to change the opacity. 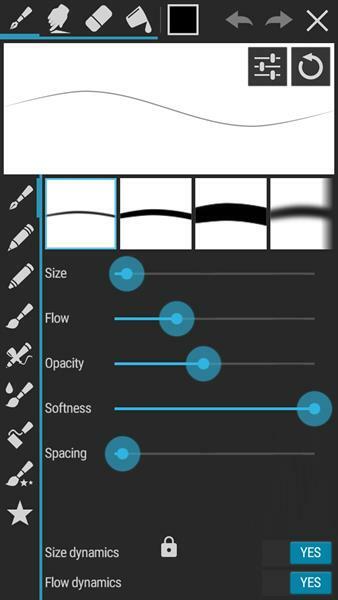 Some of the brushes or some options are available only if you have a pro version of the application. Smudge: The next button is called Smudge. The button does as the name suggests. With this tool you can kind of blur out a portion of your drawing into its neighboring portion. Here, you have the customization options of changing the size, flow and softness of the tool. You can create some amazing and interesting effects with this tool, but I don't use it a lot. Eraser: The next button is the eraser. With eraser, you can erase the portion of the drawing that you don't want. In eraser, you have the options of changing the Size, Flow and Softness of the tool. You can also turn on or off the Size dynamics and Flow dynamics. With color picker, you can select any color that you want and the color of any other tool that you use will be changed. 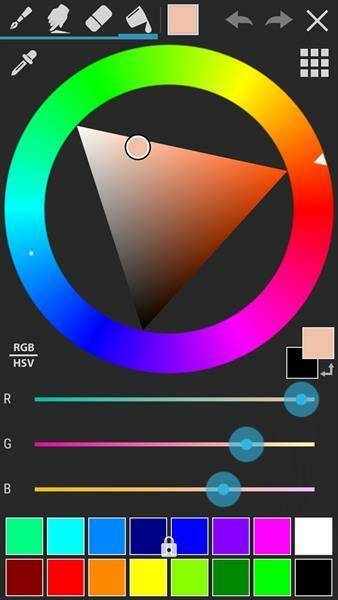 You can select the color fairly easily using this color picker where you are provided with a circle with different colors and a triangle in the center where you can change the darkness of the color. Apart from that, you can also pick a color from the screen by selecting the Pick Color button and touching on the color that you want to select. Fill: The next button is the fill button. This tool is used to fill the whole canvas or a closed portion of your drawing with a single color. This can save you a lot of time because you don't have to use the brush to paint the entire area if you want it to be a single color. You just have to select a color from the color picker and touch on the area where you want to change the color. You can also change the Tolerance of the Fill tool which helps you to ignore small portions where your drawing is not closed. Opacity can also be changed. Undo/Redo: Undo is a button which as most of you may know is used to revert the last thing that you did in the application. But please note that undo is limited in the free version of the application. You can buy the pro license to get unlimited undo and also many other features. Redo is used to revert back from what you just have undone. Toggle Layers Panel: The Toggle Layers button is used to create, delete and toggle through different layers in your drawing. Layers can be created by touching the button and clicking on the '+' button or you can simply select the Browse button and select an image from your phone into Artflow Studio. You cannot create more than two layers in a free version of the application. In each layer you can change the transparency, size, visibility, brightness, contrast, curves, blur, sharpen and a lot of other options. Stroke: This is the option which gets selected by default when you first open the application. 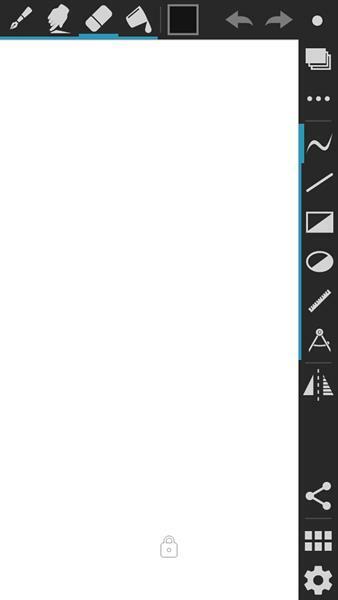 With this option selected you can draw as you would draw using a real brush. Line: With the Line option you can draw straight lines on the screen. Rectangle: With this tool you can draw rectangles on the screen. Ellipse: With the ellipse tool you can drawing circles on ellipse on the screen. Ruler: With the Ruler option you can set the slope of the line on the screen and draw anywhere on the drawing area and you will get a line with the slope that you specified starting from the place where you started drawing. Compass: When you select the compass tool you are provided with a dotted circle where you can increase or decrease the radius of the circle and when you draw anything on the screen, it turns into a circle or ellipse according to the radius that you have specified in the tool. You can also rotate if you draw an ellipse. Symmetry: With this tool you can draw symmetrically on the screen where when you draw something on the left side of the drawing area, the same thing is drawn on the right side of the drawing area (mirrored). Impressive designs can be created using the Symmetry tool. You can share the drawing that you have created by touching the share button and save it as an image in your phone Gallery or share it via Bluetooth, SHAREit, Facebook, Instagram and more. 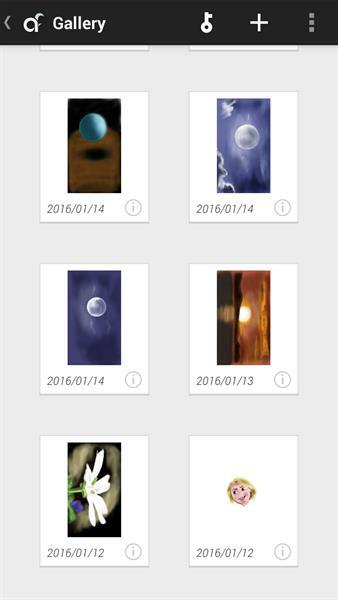 If you want to see the other drawings that you have created using Artflow Studio, you can see them by selecting the Gallery button. When you touch any of the drawings, it will be opened and you can start editing in it right away. You can also create a new drawing by touching the '+' button and selecting the dimensions of the canvas. In Settings, you can change many additional settings where you can select the language you want, set the volume keys on your phone as undo/redo and menu key as panels toggle and many more. You can also set the application to accept only inputs from a Pen because drawing with a pen is a lot easier and better than drawing with a finger. Take a look at one my drawings that I did with S-Pen with ArtFlow Studio. To conclude, let me tell you that I have been using ArtFlow Studio for quite a while now and I am extremely impressed with it. I have created many drawings and the application made my job a lot easier and fun. So, if you are an art enthusiast, you definitely got to check this application out. After all, it also has a free version. If you buy the pro version of the application you will definitely get the value of the money. So, what are you waiting for? Just go for it. Meanwhile, let me end my article with a time-lapse video of one of my drawings using ArtFlow Studio. Hope you like it.